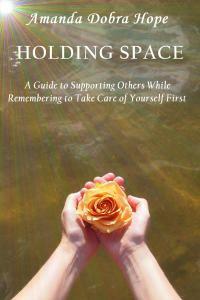 2018 Finalist Award for "Holding Space- A Guide to Supporting Others While Remembering to Take Care of Yourself First"
NASHVILLE, TN, UNITED STATES OF AMERICA, May 30, 2018 /EINPresswire.com/ — Amanda Dobra Hope, evolutionary teacher, and All Things That Matter Press are pleased to announce that "Holding Space- A Guide to Supporting Others While Remembering to Take Care of Yourself First" has just received a finalist award from the International Book Awards in the New Age: Non-Fiction category for 2018. In a statement from International Book Awards creator, Jeffrey Keen, President and CEO of American Book Fest, it is learned that this year’s contest yielded over 2,000 entries from authors and publishers around the world. The contest brings together both mainstream and independent publishers with a distinguished panel of industry judges boasting extensive editorial, PR, marketing, and design expertise. ABOUT HOLDING SPACE: This book was written both to provide a solid definition of the term as well as to teach people to honor themselves for the large amount of energy that spaceholding requires. "Holding Space" takes the reader on a journey through the life of a spaceholder. Topics covered include holding space for yourself, for situations, for others, and how to hold space professionally. The book also covers how to hold space effectively and to provide for yourself first before attempting to hold space for others. “My passion is, and always has been, to assist churches and ministries with their legal needs so they can continue to help serve their communities and ultimately reach more people,” says Matt Anthony. “With Harmer | Wunstel’s ministry knowledge combined with their law firm marketing experience, it’s a natural fit to partner with them for the implementation of our digital strategy.” Richard Harmer has worked with countless ministries leading their communications and marketing efforts. At the same time, Trent Wunstel has worked with Hagee Ministries for nearly two decades in video broadcasting and operations. Matt Anthony has handled the legal work for some of the largest churches and ministries in the country. Synergy in strategy, operations, communications, compliance, and legal is an opportunity found once in a lifetime. With nearly 30 years of know-how and experience working with churches and ministries, Matt Anthony is a seasoned attorney whose law firm focuses only on the legal needs of churches, ministries and nonprofit organizations. “Everyone in ministry today can take preventative measures to help them run much more efficiently with much less risk,” said Matt Anthony. “Marketing for law firms, no matter the type of law they practice is paramount. Unlike many communications or media firms today, we don’t just “consult” and show you, we teach you the methodology and then implement and execute these strategies alongside you,” Says Trent Wunstel, Principal for Harmer | Wunstel. Harmer | Wunstel is a full-service strategy, communications and operations consultancy firm that bridges the operational and communications gap for medium-sized businesses and helps them improve profitability. Harmer | Wunstel also works with nonprofits to achieve financial stability. "We enhance organizational effectiveness by implementing real-world communication and operational strategies." – Richard W. Harmer – Principal – From deploying process improvement projects to launching a full re-branding or marketing campaign, Harmer | Wunstel can provide the clarity needed in today's chaotic communications world. 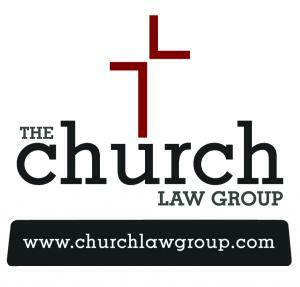 The Church Law Group is a practice division of Anthony | Kennedy, P.C., a boutique law firm serving the legal needs of nonprofit, tax-exempt organizations, including public charities, churches and religious organizations, private foundations, private schools, colleges and universities, charitable trusts, and supporting organizations. 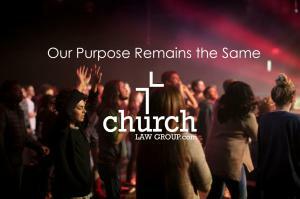 The Church Law Group focuses on the specific legal needs of faith-based organizations, churches, ministries, and clergy throughout the United States. A Celebration of Life on Sunday, May 20, 2018 paying tribute to loved ones including residents, registrants, loved ones and staff within the Wartburg community. MOUNT VERNON, NEW YORK, USA, May 25, 2018 /EINPresswire.com/ — Mount Vernon, NY, May 20, 2018 – Wartburg, an award-winning provider of comprehensive residential and healthcare services for seniors, hosted a Service of Prayer & Remembrance – A Celebration of Life on Sunday, May 20, 2018 paying tribute to loved ones including residents, registrants, loved ones and staff within the Wartburg community. The Celebration of Life is a long standing Wartburg tradition, providing comfort and solace to all participants as they come together to reflect on the lives of their loved ones. Reverend Carol E. A. Fryer, Wartburg Director of Spiritual Care, presided over the celebration in Wartburg’s historic chapel. The celebration was attended by over 70 individuals including Wartburg benefactors, staff, alumni, residents, family members and members of the local community. 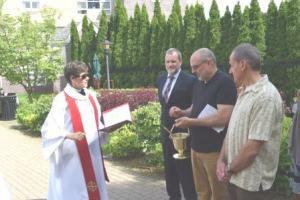 The service also included the dedication of Wartburg legacy gifts– gardens, benches, nursing stations, trees and bricks – named in honor or memory of loved ones over the past year. Nestled among Wartburg’s 34-acre exquisite campus, in sitting gardens and along walkways, these legacy gifts offer residents, families and staff outdoor sanctuaries to relax and reflect. 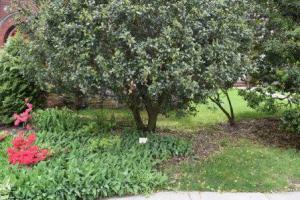 These peaceful serenity gardens fulfill our mission bringing together nature and nurture, a vital part of the continuum of care that holds our Wartburg community together. Wartburg, located in Westchester County, NY, offers integrated, comprehensive senior care services for all stages of life. Unlike conventional retirement communities, they provide a wide range of services to both residents living on campus and people in their own homes. From independent, assisted living and award-winning nursing home care to inpatient/outpatient rehabilitation, home care and adult day care services, their continuing care approach has earned them a trusted reputation in Westchester. 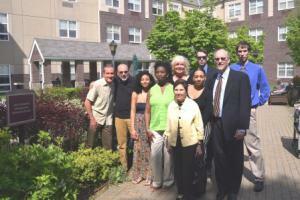 They also provide caregiver support every at every stage, with an array of options to find the level of care considers the whole family.Most recently, Wartburg received the 2016 Eli Pick Facility Leadership Award from the American College of Health Care Administrators and the 2015 Legacy Award from the Westchester County Chapter of the Links. In addition, Wartburg was named one of the "Best Nursing Homes in New York State", by U.S. News & World Report for the seventh consecutive year in 2017. 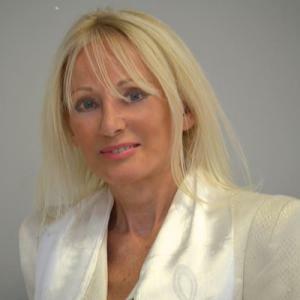 Psychic to the Stars Rose Stuart gives here shocking new predictions for America and the world, with new preductions by the famed psychic to follow next week. In shocking year end predictions for December 2017 and January 2018, Psychic to the Stars Rose Stuart reported that she was concerned about her feelings of a bombing to occur in Jerusalem, which she feels may occur this May or next month. She urges President Trump and Congress to fight for the protection of Christians there who may be targets. This prediction by Rose was elevated immediately after President Trump announced the United States as recognizing Jerusalem as the Official Capital of Israel, which enraged many in the Muslim world, who vowed revenge. Rose states that she feels a group will try to blame North Korea as being involved in the Jerusalem bombing, to try foster quicker war with North Korea, but states that they will not be involved – so advises The White House, State Department, Israel, and U.N. to avoid this confusion. Rose warns that certain people in China, Russia, and Iran are covertly aligning with North Korea, trying to weaken America. She warns that North Korean agents, hackers, and spies are messing with America’s infrastructure; including but not limited to banking systems, accounts, transactions, and particularly large companies, and the internet. She speaks further of spy satellites being used against the U.S, and sleeper cell systems. She warns that North Korea are attempting to covertly take over control of and take down certain major U.S. corporations which lead the American economy, and which the U.S. infrastructure relies on. She warns further of attacks on the electrical grid, water supply, and electric and internet utility companies, and banking institutions. Rose Stuart states that the meeting between Trump and Un will most likely occur, and be a positive meeting, but warns against trusting the word of the North Korean leader at face value. Rose Stuart’s team has recently contacted the Office of President Trump, passing along many of the above predicted warnings. The White House has reportedly confirmed that the message was received and will be reviewed. Rose Stuart is an ordained minister, who says she developed her gift as a psychic and intuitive expert at a very young age. 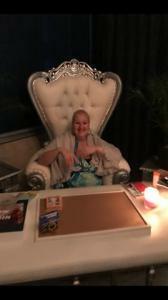 Ranked as one of America’s Most Trusted Psychics, she states that her specialty is helping many people reunite with lovers, which she loves to do. The gifted psychic also does energy work including Reiki, and uses what she calls the healing power of prayer. She has helped solve cold cases, and helped find missing children, among more, often donating her services to help victims. Also earlier reported, Rose’s new store The Rose Boutique, Etc. #3, offers a place to buy many unique new products including; special crystals, incense, special hand made jewelry, and even special healing stones. Rose states that she began her metaphysical work as a young child, giving readings for adults who were shocked at the young girl’s uncanny ability to tell them things about their past and future that were true. 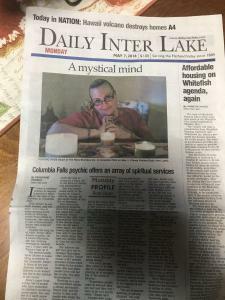 Psychic to the Stars Rose Stuart was recently featured on the front page of Montana's renown newspaper, "The Daily Inter Lake." As mentioned earlier this fall, Rose states that she truly loves helping people, and her specialty is reuniting lovers. More of her other services include; reading palms, tarot, astrology charts, love charts, energy work, spirit guide and ancestor work, chakra balancing, Reiki, relationship counseling, and much more. Hollywood Sentinel Public Relations and affiliates make no medical or other claims with regard to this story which is for entertainment purposes only. Having committed to a well known religious mission, William Gilbert Lightner has traveled extensively in his holy work. MARIETTA, GA, UNITED STATES, May 23, 2018 /EINPresswire.com/ — Visiting almost 30 countries in his role as an evangelist and public speaker, William Lightner has assisted thousands of individuals in finding comfort in religion and spirituality. "I believe it's my duty to bring people into a closer relationship with Christ and to encourage fellowship and the establishment of prayer groups across the world," explains Lightner, a resident of Marietta, Georgia, expressing his commitment to the cause. Before embarking on his travels, Lightner entered a six-month development process with a well known religious mission. Upon completion of this process, he set out on a journey which has thus far taken him to 28 different countries. "The mission got me started with speaking and with traveling the world. 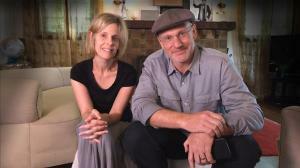 They hold a special place in my heart," Lightner says of his affiliation to the group. Explaining the mission's work in more detail, he continues, "The vision for any mission begins with Jesus Christ as he chose twelve ordinary men for his disciples to witness his life on earth and to be the first recipients of his teaching. 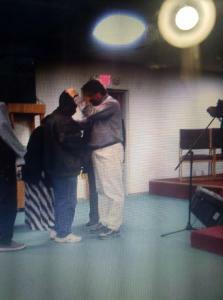 The common goal is to see Jesus lifted up, and the Holy Spirit move in power and authority." A religious mission is an organization whose goal it is to spread God's word. "This," Lightner explains, "generally involves sending individuals such as myself across geographical borders and boundaries to preach a set of beliefs, and to undertake humanitarian work among the disadvantaged and the poor." A former member of the United States military, William Gilbert Lightner is highly-educated and has also worked in executive sales and finance. A graduate of Judson University, Illinois, he credits his education and personable nature with much of his success as an evangelist and public speaker. Indeed, now well recognized in these fields, Lightner recently received formal recognition from Strathmore's Who's Who, with the biographical publication awarding him the title of Religious and Spiritual Services Professional of the Year 2018. "I'm incredibly proud," he remarks, "to have been selected as this year's Religious and Spiritual Services Professional of the Year by Strathmore's Who's Who. 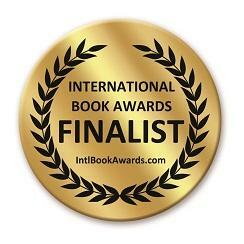 It's fantastic recognition and a great accolade." Chosen from over 1,000 shortlisted individuals, Strathmore's Who's Who selected Lightner for the honor owing to his continued commitment to the fields of religion and spirituality. During his international travels and in his years of dedicated hard work as a preacher, Lightner has addressed countless vast crowds of people, often preaching to hundreds or thousands at a time. "I teach them to acknowledge fellowship, as well as faith through prayer so that they may live a more sound life as a follower of Christ," he explains. Lightner is always keen to praise the mission with which much of his evangelical work began. "They're one organization I love doing work for," he notes, wrapping up, "and I'm forever appreciative of the chance they gave me." 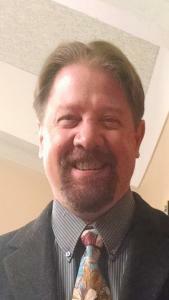 To read more about William Lightner, he opens up about preaching and religion here. Wiseguyreports.Com Adds “Five Star Hotel – Global Market Demand, Growth, Opportunities, Manufacturers, Analysis of Top Key Players and Forecast to 2025” To Its Research Database. This report studies the global Five Star Hotel market size, industry status and forecast, competition landscape and growth opportunity. This research report categorizes the global Five Star Hotel market by companies, region, type and end-use industry. LONDON, LONDON, UK, May 22, 2018 /EINPresswire.com/ — The 2018 Holy Land Tour with Pastor Chris Oyakhilome – the founder of Christ Embassy has ended. The Church planned out the trip especially for the believers around the world, who wanted to experience the Holy Land. LoveWorld Incorporations expressed their gratitude and happiness over the warm welcome they got from the Jewish land. 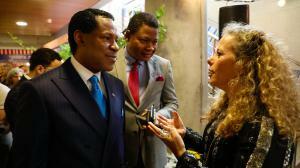 Both Jews and Christians were delighted for the visit of Pastor Chris Oyakhilome which further highlighted the strong connection Evangelicals have to the Holy Land and its people. The visit also coincided with two events of big importance for the State of Israel. The first one is the marking of the 7-th year of Independence for the Jewish Land. The second event is the move of the US Embassy from Tel Aviv to Jerusalem – the capital of Israel. Earlier this year, the President of the United States of America – Donald Trump, announced that he will move the Embassy. The move itself aimed at signaling to the international community that the USA stands behind and recognized the Holy City of Jerusalem as the capital of Israel. The Ministry of Foreign Affairs organized a celebratory reception to honor the move of the Embassy. Pastor Chris Oyakhilome was personally invited to the event which turned into a highlight from his trip. 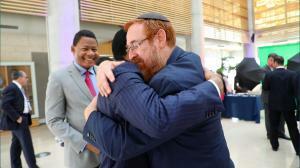 The Pastor received warm welcome and was embraced by members of the government and numerous Jewish believers. 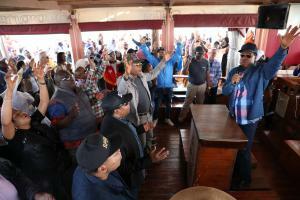 The hosts were eager to welcome the famous Evangelist Pastor Chris Oyakhilome.